"Pineapple with a sweet and sour twist. The pineapple juice is a natural meat tenderizer!" Cook on barbecue and baste frequently with the marinade. Near the end of the cooking, add preserves to top and allow to brown slightly. This recipe has a nice subtle flavor. We marinated chicken and then grilled it. This is a real five-star recipe! 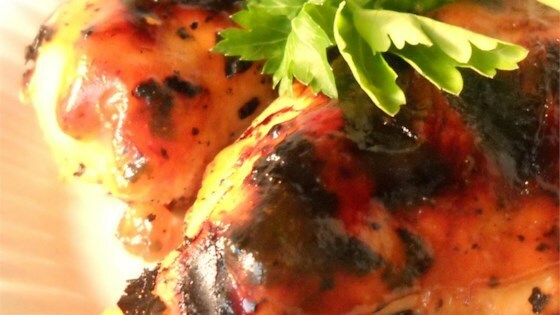 An overnight marinade gave a tenderness and a flavour to my chicken that my guests never experienced.